Dave Chappelle has been doing a run at The Chapel in San Francisco. At a 2 am show on Friday Morning, he turned on the purple lights and talked about what everyone was thinking. 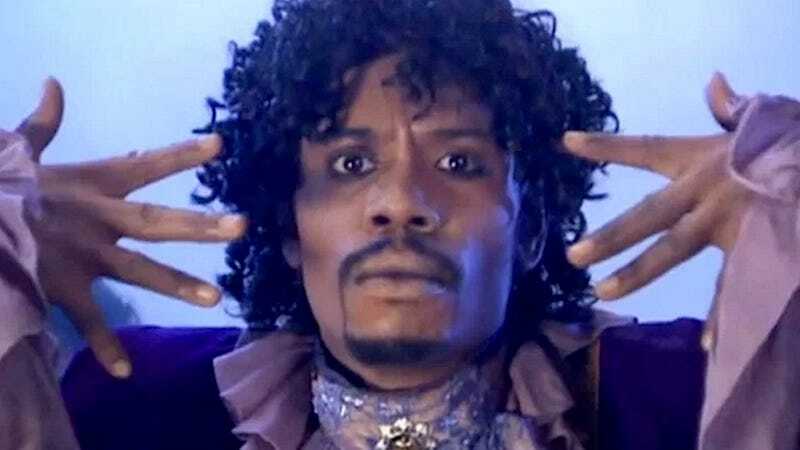 The band played a medley of Prince’s music as Dave Chapelle reminisced, interspersed with vocals from San Francisco singer Martin Luther McCoy. The comedian eventually took out a tambourine emblazoned with Prince’s unpronounceable symbol.